As mentioned in step 7, as a FiiT member you are given the opportunity to generate passive income by simply promoting FiiT Supplements to your members and email list. You will be given instructions in your welcome email regarding your unique referral partner link. The more supplements you sell, the more commission you will earn – simple. Watch this VIDEO then fill out the form below to register & start making commissions Today! This link gives you direct access the Referral Partner Centre Login Page once you have registered above. All commission payments will be made on the 1st wednesday of every month. Use this PDF template at your point of sale. Educate your members to get their hands on this Supplement stack. “How do I lose fat faster and keep it off for good”? Seriously if I had a cookie for every time I was asked that, I’d be as big as a house! My answer to that is simple. Supplementation can massively increase your fat loss goals. Its not a must, but it definitely for the person who is wanting to fast track their goals. I am definitely one of those people. I use the FiiT Supplement range to help keep me on track. Thermo Curves Fat Metabolizing Protein 2x per day. Post training is a must, also add 5gm of BCAAS to your post workout shake. I also use the FiiT BCAA’s, add 5gm to your during workout drink i.e: 500gm water, 5gm BCAAs and for some flavour you can use a few drops of diet cordial. If you are wanting to really ramp up your fat loss I would also recommend using Acetyl-l-Carnaitne, this has not only fat burning properties but also helps with brain function. This article is pure content, we are educating the prospects on the benefits of a certain product. BCAA’s provide all three branched chain amino acids which support muscle function and repair. Branch Chain Amino Acids (BCAA’s) are the “Building Blocks” of the body. They make up 35% of your muscle mass and must be present for molecular growth and development to take place. BCAA’s are essential amino acids needed for the formation of proteins, particularly muscle proteins during and following intense exercise. They promote muscle repair and building of lean muscle, and may help to reduce stress and through their conversion to glucose, provide muscle energy during intense exercise. I dont know about you, but the idea of muscle pain is not something I look forward to when it comes to training. According to a study by the Univ. College of Physical Education and Sports BCAA supplementation. Branched-chain amino acids and in particular leucine, have anabolic effects on protein metabolism by increasing the rate of protein synthesis and decreasing the rate of protein degradation in resting human skeletal muscle. So in english it means it can help break down proteins faster so it can begin repair mode. This is critical when it comes to building lean muscle. Another study from the Journal of International Society of Sports Nutrition concluded that “BCAA administered before and following damaging resistance exercise reduces indices of muscle damage and accelerates recovery in resistance-trained males”. Summing Up- BCAA supplementation during intense training can help minimize protein degradation and thereby lead to greater gains in fat-free mass. Recent research has confirmed leucine increases the adipocytes (fat cells) release of fats for energy. In addition leucine has shown to be a factor in prevention of muscle tissue degradation during dieting in diabetic situation. Most dieting situations increases the loss of lean tissue and increase muscle loss. Having adequate leucine and protein will prevent the loss of muscle during dieting. A study review in the Us National Library of medicine, found improved nutritional status associated with BCAA supplementation. BCAA supplementation appears to be associated with decreased frequency of complications of cirrhosis and improved nutritional status when prescribed as maintenance therapy. Furthermore BCAAs can also protect the liver from cancer in patients with cirrhosis. This tip comes courtesy of World renowned strength coach Charles Poliquin. A primary way BCAAs prevent aging and support a lean body composition is by how they improve insulin sensitivity and glucose tolerance. High insulin levels cause accelerated aging along with nerve and cell damage, making it essential to control this hormone. Luckily, it’s the one hormone you can manage and BCAAs will help. Researchers are using BCAAs as a treatment for diabetes and there’s ample data that they lead to weight loss. A new study in the journal Diabetologia found that the individuals who were in a weight loss study who lost the most weight had the highest BCAA levels—not surprising based on previous evidence. But there was an even stronger correlation between improvements in insulin sensitivity and BCAA levels than weight loss, indicating that the participants overall health and metabolism had improved. Another study found that rats that were given BCAAs in conjunction with a high-glucose solution, had improved glucose tolerance compared to a placebo group. Glucose tolerance means that once the rats ingested a large amount of glucose and their blood sugar was elevated and insulin was secreted, their bodies managed to process the glucose for energy more effectively than the less tolerant placebo rats. This is where it can get tricky, you hear someone say something and then you read somewhere else that you should take x amount. With all the confusion out there, let me paint the picture. Some good studies indicated 5.6 grams of BCAA’s two times a day improved weight lifting recovery and improved muscle stability. Another study indicated 3.6 grams two times a day improved the recovery of a rugby player. Ultimately the dosage above should be a good rule of thumb. Personally I take 5gm of BCAA during my workout and 5gm after my workout. I have personally experimented with BCAAS for many years and I can say that by taking only 1 serving per day, pre workout, is not as nearly as effective as taking 2 serves. Summing Up- I would suggest you start with a 3-5gm serve during your workout and add another 3-5gm serve to your protein shake, post workout. When it comes to purchasing BCAAS supplements I definitely recommend the powder over the tablets, for the following reasons. Price: When you look at the cost of tablets vs powder you can generally most of the time save 50% by opting for the powder version. I will say however the plain powder is not the best tasting by its own, so I add it to a 30ml serve of diet cordial. Even when it comes to buying the powder form, shop around. Some companies out there are blatantly ripping you off. I know of a supplement company, which is pretty popular mind you. That sells a 50gm tub of BCAA for $49.95 – It is outrageous! But the funny thing is, I have actually bought BCAAS from them – many years ago when I was uneducated. 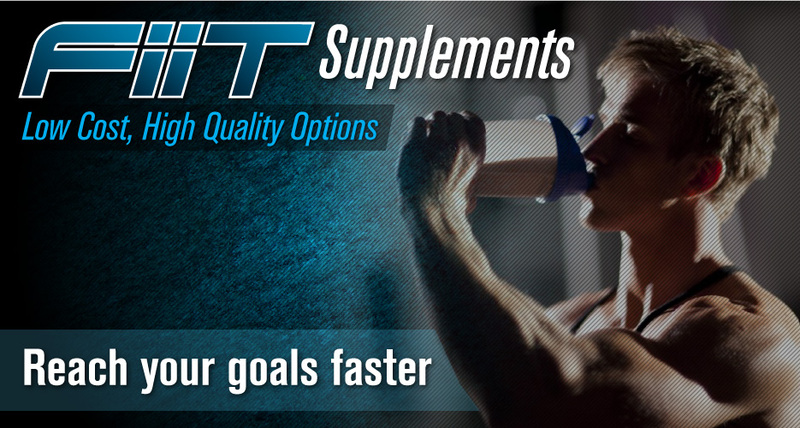 Our product line of FiiT Supplements, gives you the opportunity to purchase for a limited time 250gm for only $44.95. Yes thats right, you get 4 x the amount and still save $5. Journal of Cellular Physiology 2012 May;227(5):2097-105. doi: 10.1002/jcp.22941. Use these articles to help you make sales. Also be sure to keep asking your participants at your FiiT location, if they need a new batch. Many people wont say anything, THEY NEED REMINDING.